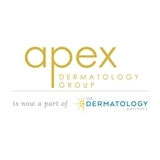 Apex Dermatology Group (Littleton) - Book Appointment Online! We hope that your visit to this site will help you better understand our services, our practice, and what we can do for you. As a leading Denver-based dermatology practice, we offer variety of other hair, nails and skin treatment designed to make you look and feel your very best. The modern dermatologist practice has changed dramatically in the last few years. We are still focused on the health of our patient's skin, but new technologies and new procedures have catapulted our specialty into areas that were previously the domain of the cosmetic surgeon only, and were previously much too expensive for most people to even consider. But now it's possible to look and feel younger. Now it's possible to restore confidence in your appearance and to live a happier, healthier life. Dr Tello was very friendly and professional. Dr Theriault is fantastic. I was seen straight away, had a thorough check up and had all my questions answered. I would highly recommend her! ?? Michelle was prompt, friendly, and thorough. I went in for an annual skin check and thought that her inspection was and suggestions were very good. I would recommend her to friends and family.